Migrant party members say they have been “shut out” of the immigration debate and today call on Labour to shift party policy in favour of continued free movement. 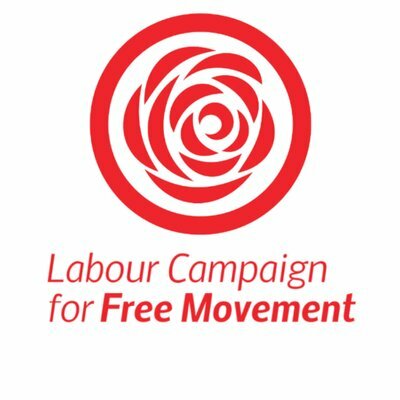 Organised by the Labour Campaign for Free Movement, a group advocating the extension of free movement in the context of Brexit, the activists have expressed their support for the closure of all detention centres and fewer restrictions on migrants’ access to the NHS. A motion to this effect is set to debated at party conference in Liverpool next week. The statement has gained 24 signatories so far, including left-wing TSSA general secretary Manuel Cortes, an organiser of The World Transformed festival and Momentum activists. It warns Jeremy Corbyn’s Labour Party that to “support further border controls in light of Brexit would contradict our message of hope and solidarity”. Below is the full statement. We are Labour members because we want a society run in the interests of the many, not the few. Like millions of people up and down the country, we were inspired by the policies put forward by Jeremy Corbyn and the Labour manifesto at the 2017 general election. We have dedicated thousands of hours to campaigning, and we play a pivotal role in the functioning and success of the labour movement – in local parties and in workplaces. But as migrants, we are also troubled by the trajectory of some aspects of British politics. Whatever your views on Britain’s membership of the European Union, the Brexit vote and its aftermath have been a difficult time for us. Many of us have been made to feel unwelcome in the place that has become our home, and for many of us the post-Brexit future is still uncertain. Hate crime against us, and against non-white British people, has soared. Our movement must not give an inch to the idea that we – immigrants – are to blame for society’s problems. We did not cause the housing crisis, falling wages, austerity and privatisation. And the answer is not to deport us, or to shut out future generations of people like us – it is to invest in public services, strengthen workers’ rights, and build the social housing we all need. As trade unionists and party activists – and as builders, doctors, nurses and engineers – we have a role to play in fighting for that future. Free movement is not really about whether people come to the UK – it is a system for guaranteeing our rights when we get here. The alternative is more deportations, separated families and migrants pushed into illegal employment. For Labour to support further border controls in light of Brexit would contradict our message of hope and solidarity. We urge our fellow members at every level of the party to join us in backing the development of a progressive immigration policy, including the continuation and extension of free movement.